Jeff Wieser — longtime president and CEO of Homes with Hope — will retire from the multi-purpose housing organization by the end of 2019. Board chair John Walsh announced the news today. 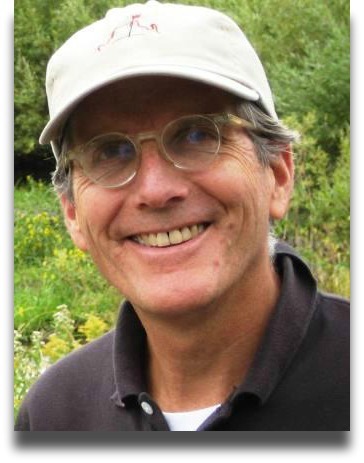 In his 9 years as director, Wieser has been a driving force for HwH. 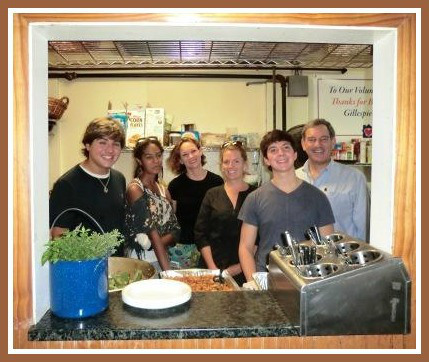 During his tenure he has overseen operations at the Gillespie Center and the Bacharach Community. He also expanded the portfolio of 44 supportive housing units, which the agency owns and operates. Homes with Hope more than doubled its shelter capacity, providing beds for 115 people each night. And Wieser introduced an after-school mentoring program for the 30 children in HwH facilities. In addition, Wieser led the merger with Project Return, the housing program for young women ages 18 to 24. Wieser has helped Homes with Hope become a national role model, demonstrating how a suburban town can effectively respond to homelessness. “Jeff has been a transformative, innovative leader” in the fight against homelessness, Walsh said. Westporters of all ages volunteer at the Gillespie Center. Wieser will stay in his position until a replacement is found. A search committee will focus on finding a local leader who understands both Westport and Fairfield County. “Being involved with Homes with Hope over the last 30 years, first on the board and then as executive director, has been the most satisfying professional role of my life,” said Wieser. In 2015, a $5,000 grant enabled Earthplace to update maps of their 74-acre sanctuary. Visitors can now find all trails — including those suitable for wheelchairs and strollers. In 2016, a gift of $10,000 helped Project Return repaint their historic North Compo Road home. A 2017 grant of nearly $5,000 gave the Westport Astronomical Society a new solar telescope for its Rolnick Observatory. Last year, Wakeman Town Farm used $1,200 to purchase an innovative mobile chicken coop. 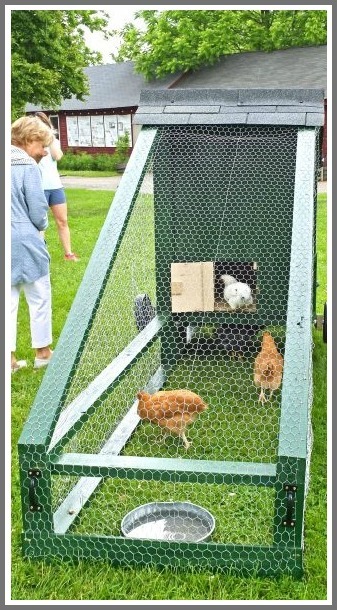 Wakeman Town Farm’s mobile chicken coop.$10. All of those “Ruegg Grants” came from the Westport Woman’s Club. Established in 1995 by former member Lea Ruegg, they’re given each spring to a local non-profit with a project that makes a meaningful difference in social services, health, safety, the arts or education. Other previous recipients include ITN Coastal Connecticut, CLASP Homes, the Westport Police Department, Hall-Brooke Hospital, Interfaith Housing, Mercy Learning Center, Toquet Hall, the Westport Rotary Club, Staples Players and the Westport Library. Your organization could be next. The Woman’s Club is accepting submissions now through March 8. Ruegg Grants are now one of their signature projects. For an application, click here. To learn more about the Westport Woman’s Club, click here or call 203-227-4240. Early in her working career, Susie Basler served as an Illinois parole and probation officer. That served her well in what became her life’s work: volunteering for, then running Project Return, Westport’s well-respected group home for teenage girls and young women. Basler — who has a master’s degree and is a licensed clinical social worker — enjoyed working with that population. They had issues that prevented them from living with their families — but Susie and her staff offered counseling, love (tough and soft), a chance for an education and, ultimately, a fresh start in life. But about 3 years ago, the state stopped funding Project Return. Homes With Hope took it over. It’s now focused on supportive housing for homeless young women, 18-24 years old, providing individualized case management, and employment and educational resources. Project Return, on North Compo Road. 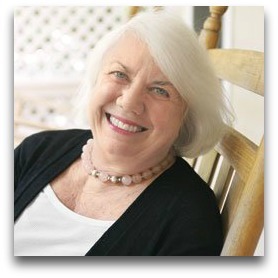 Basler retired as executive director. But she was not ready to stop working. 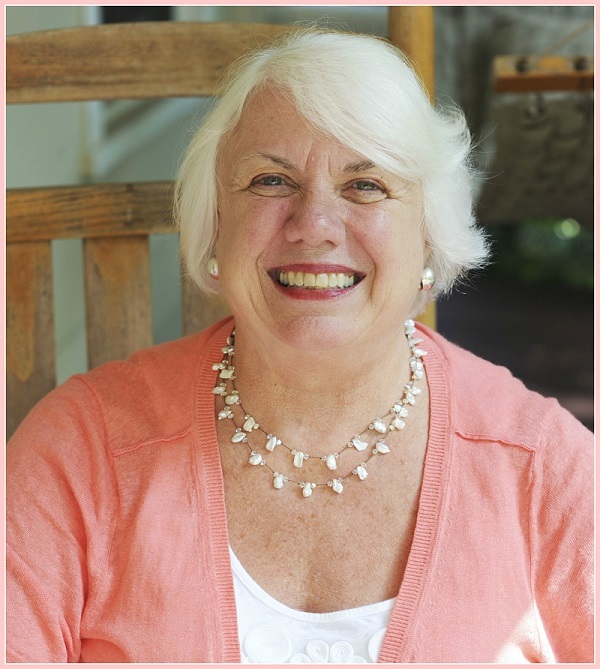 She spent a year as president of Westport Rotary. It was fulfilling and important. Yet she missed helping young women grow. “I’d gained knowledge and wisdom, and seen just about every behavior an adolescent could do,” she says. Borrowing a friend’s office on Black Rock Turnpike, she worked with a woman whose daughter was troubled. Basler helped the mother appreciate her child’s strengths. Together they strengthened the relationship. When her friend and fellow Rotarian Rick Benson bought 29 East Main Street — the former Temenos building — Basler saw an opportunity. She rented one of the offices, and is now seeing clients. Most are parents of teenage girls and young women. She adds, “No one teaches us how to be a parent. We learn — good and bad — from the way we were parented.” One of her strengths, she says, is that she’s a non-judgmental listener. “Knowing we are accepted and loved for who we are — that’s what heals and leads to growth,” Susie adds. Her role with parents is to provide empathy; help them understand the needs of teenagers, while setting healthy boundaries; provide guidance in raising children in an affluent community, and reduce anxiety, while navigating blind spots and roadblocks. “My passion has always been helping kids — especially those who are hurting,” Basler says. “The best way I can do that today is by helping their parents understand and love them better, be better able to tolerate their feelings, and be less reactive to their behavior. Susie Basler knows teenage girls. Now she’s helping parents get to know their own daughters a little bit better too. Drew Friedman’s $500,000 is the gift that keeps on giving. The downtown landowner and co-founder of the Westport Downtown Merchants Association died in February 2016, at 86. His very generous bequest set up the Drew Friedman Foundation. It’s already distributed money to Homes With Hope, CLASP, the Westport Arts Center and Westport Historical Society. It has funded art classes and activities for under-served students and young adults. This spring, an art exhibit at the Westport Woman’s Club showcased their work — and included presentations of scholarships to arts colleges. 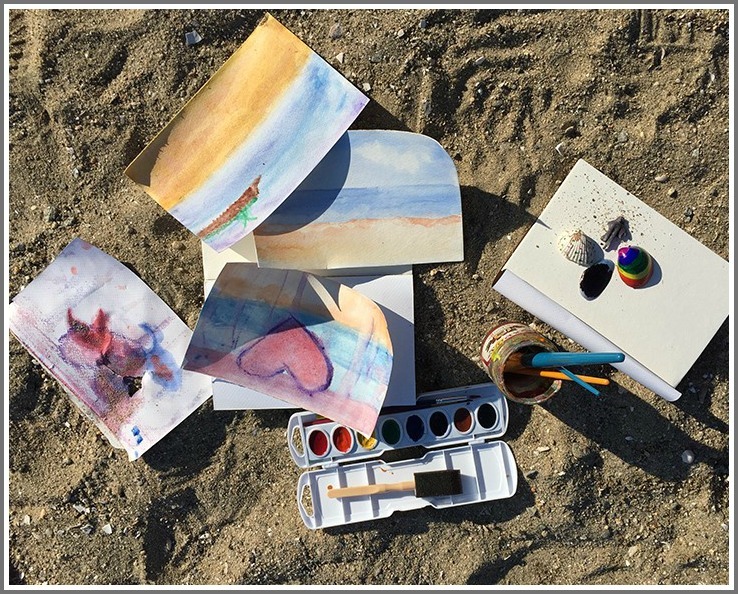 The newest Drew Friedman Foundation initiative is a series of small art events at Old Mill Beach. The goal is to bring art opportunities and education to community members who are often overlooked. The first one took place Wednesday afternoon. 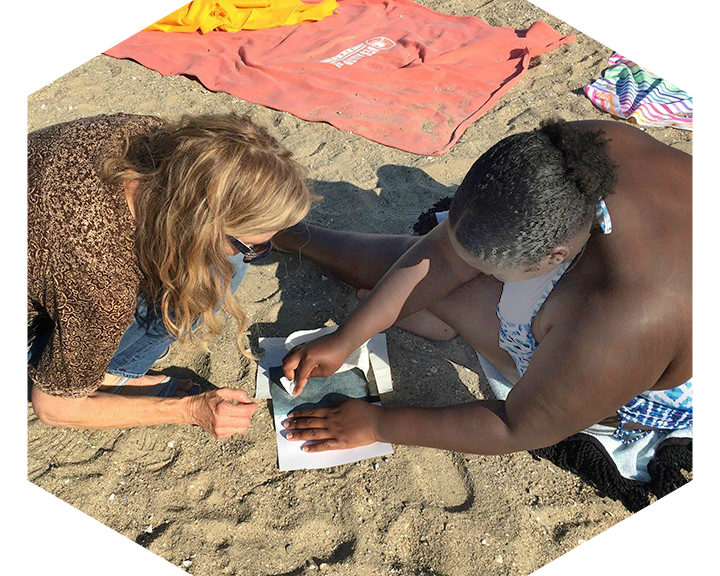 Clients from Project Return and Homes with Hope — the group home for teenage girls and young women, and Westport’s supportive housing organization respectively — enjoyed a day at the beach. Making art at Old Mill Beach. They learned about watercolor painting and shell decoration, with Westport artist Katherine Ross. Fruma Markowitz showed them how to make contact photo prints with found objects and their own bodies. 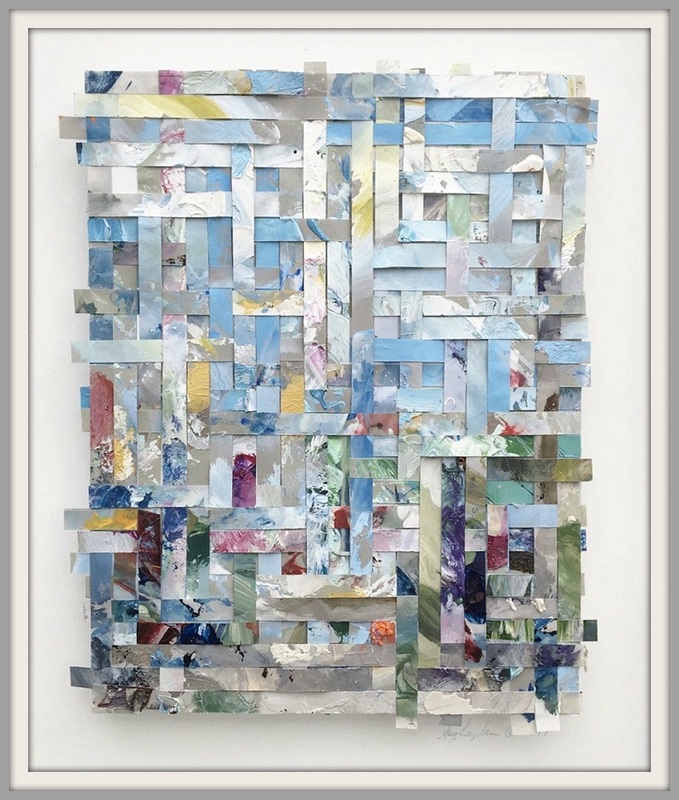 “The results were amazing,” says Drew Friedman Foundation art advisor Miggs Burroughs. Some of the finished works. The day ended with a lavish dinner at Nick Visconti’s Sherwood Mill Pond home. He was Friedman’s longtime business partner (and — importantly, for the food — former owner of Onion Alley. He cooked every dish himself.). 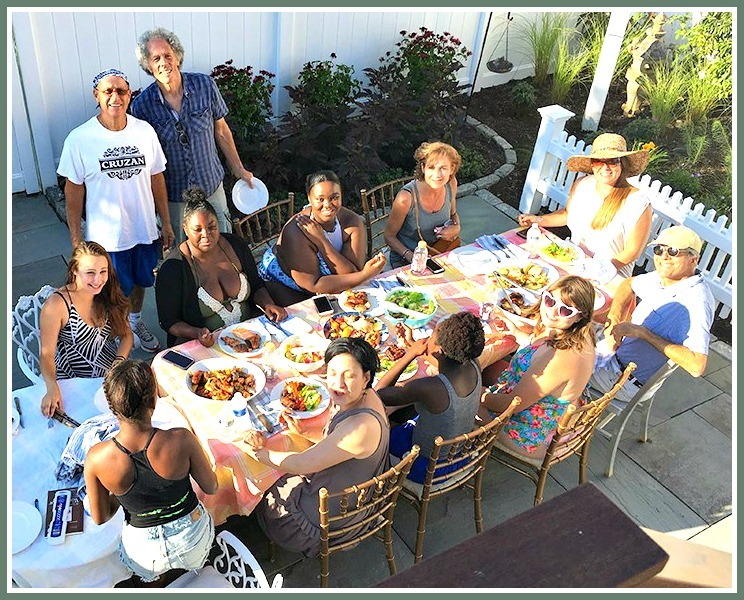 Project Return program director Tessa Gilmore-Barnes says that on the way home, one of the ladies felt “deep contentment.” Though shy at first, she relaxed and loved everything: the art, food, people and setting. More events are planned, with these and other organizations. Art is alive and well all over Westport — thanks in part to the late, and very generous, Drew Friedman. Dinner is served, thanks to Nick Visconti. For over a century, Westport has been known as an arts community. Two upcoming events honor art of different types — and the concept of community. 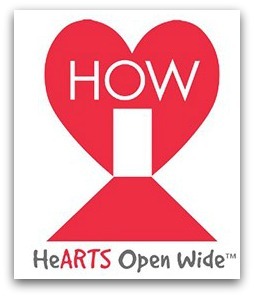 A free “HeARTS Open Wide” gala on Thursday, May 17 (5 p.m., Westport Woman’s Club) celebrates the work of budding artists from CLASP Homes, Project Return and Homes With Hope. Those local organizations support adults with disabilities, teenage girls and young women in crisis, and homeless families — populations that may not seem to have time for art, but for whom it can be a life-changing form of expression. The Westport Arts Center and Westport Historical Society will also be represented at the gala. The event is the first-ever art show for the Drew Friedman Community Arts Center. Senator Richard Blumenthal is scheduled to present 3 DFCAC scholarships at the gala, in partnership with the WAC and Westport Woman’s Club. Staples High School seniors Lilianna Giaume, Katelyn Loucas and Zoe Molina each earned a $5,000 award. The evening also includes the introduction of the $1 million DFCAC Fund. Over the next 10 years, it will support art programs and scholarships for underserved artists of all ages. Miggs Burroughs — a noted artist DFCAC board member — has matched local organizations with art instructors from the Westport Arts Collective. That jump-started the foundation’s mission: reaching budding artists who may otherwise not have access to supplies and education. There will be music too, from the incomparable Suzanne Tanner — and of course food. Friedman and Nick Visconti — chair of the DFCAC, and Friedman’s longtime business partner — owned local restaurants. 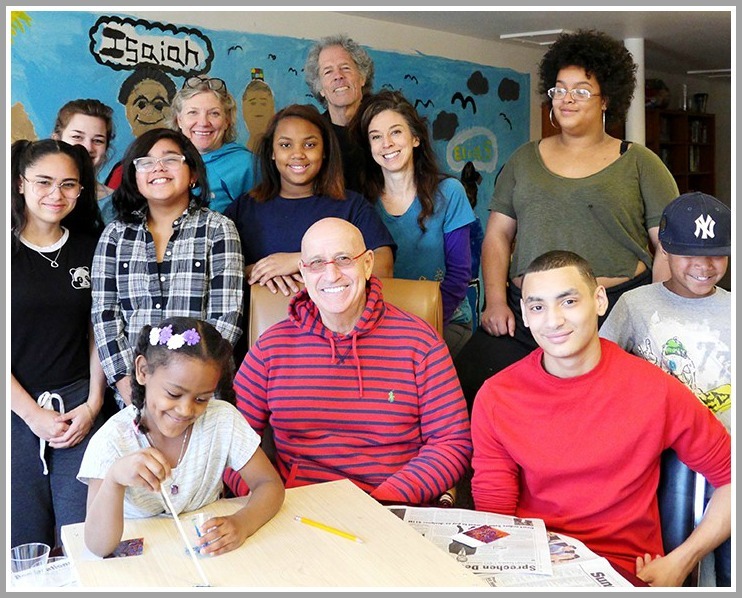 Nick Visconti (front row, middle) and Miggs Burroughs (back row, middle) with some of the art students helped by the Drew Friedman Community Arts Center. CLASP Homes and Project Return are also beneficiaries of a portion of sales at 2 pop-up gallery shows. They’re set for 153 Post Road East — the building opposite Design Within Reach (old post office), between Westport Pizzeria and Finalmente/Jeera Thai. Over 30 artists will be featured from May 10 to June 3. There are 2 receptions, with food and music: Saturday, May 12 (4 to 6 p.m.), and Sunday, May 27 (6 to 8 p.m.). The 1st (May 10-22) includes Kaplan and Burroughs, plus Kat Evans, Miggs Burroughs, Irene Penny, Nina Bentley and others. The 2nd show (May 24-June 3) includes Noah Steinman, Dan Long, Katherine Ross, Charles Douthalt, Melissa Newman, Diane Pollack and more. There’s plenty of art for Westport this month. After all these years, we are still very much an arts community. After 21 years, nearly everyone in town has a birdhouse. For more than 2 decades, residents enjoyed a Birdhouse Auction. The idea was creative, fun — and totally Westport. Local artists created amazing, unique and very cool birdhouses. They were showcased in Main Street store windows, kicked off by a springtime “stroll.” Then — as the highlight of a fun party — people bid to buy them. All funds went to Project Return, the North Compo Road group home for girls and young women undergoing difficult times. 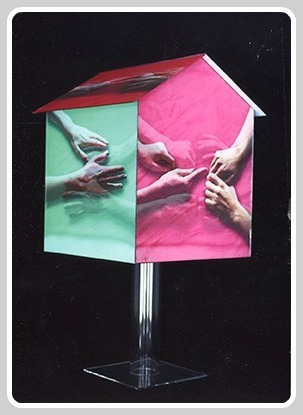 This special lenticular birdhouse was created by Miggs Burroughs. But according to Jeff Wieser — CEO of Homes With Hope, the Westport housing organization that oversees Project Return — the effective shelf life of a fundraiser for most non-profits is 7 to 10 years. The Birdhouse Auction took a tremendous amount of time and effort, by a dedicated core of volunteers. They asked a lot of very generous and talented and local artists. And — as noted above — you can fit only so many birdhouses in your back yard. Last year marked the final Birdhouse Auction. But Project Return needs as much support as ever. Fortunately, a group of volunteers has created a new fundraising event. It’s a summer party with cocktails, dinner and dancing at the Saugatuck Rowing Club. Called “Night on the River,” it’s set for Saturday, June 3. 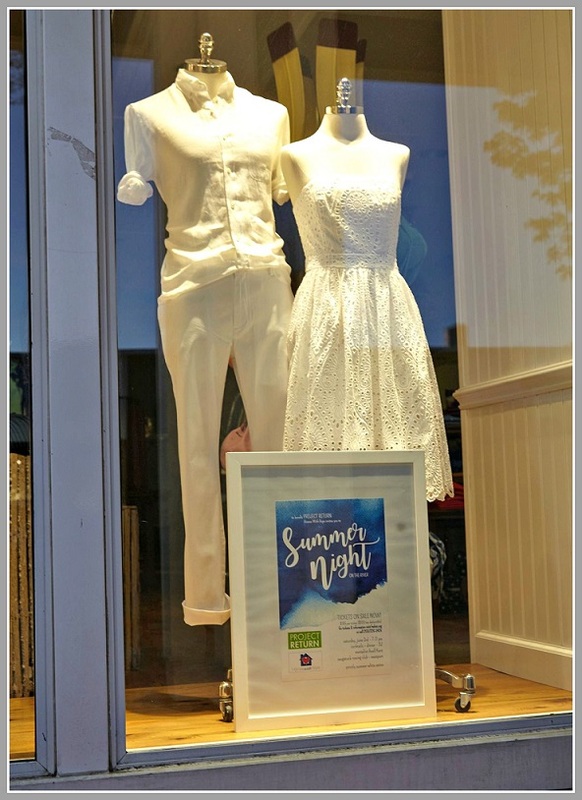 Vineyard Vines’ Main Street window — with white outfits specially for the “Summer Nights” gala. Wieser is particularly pleased that a “great group of younger people” has taken over the planning. But they’re keeping some of that old Main Street stroll flavor. Because the dress code for “Night on the River” is “strictly summer white,” organizers are asking downtown merchants — most of whom own clothing stores — to feature white clothes in their windows. In addition, Amis restaurant created a special “Summer Nights” cocktail. It drew raves at its recent debut. “Hopefully this is the start of a whole new tradition,” Wieser says. Hopefully too the birds won’t notice there are no new feeders this year. Did every old structure in Westport start somewhere else? Saugatuck Congregational Church, the Birchwood Country Club clubhouse and Bedford Hall at the Westport Woman’s Club are 3 examples. This coming Monday (May 1, 3 p.m.), Project Return takes the spotlight. 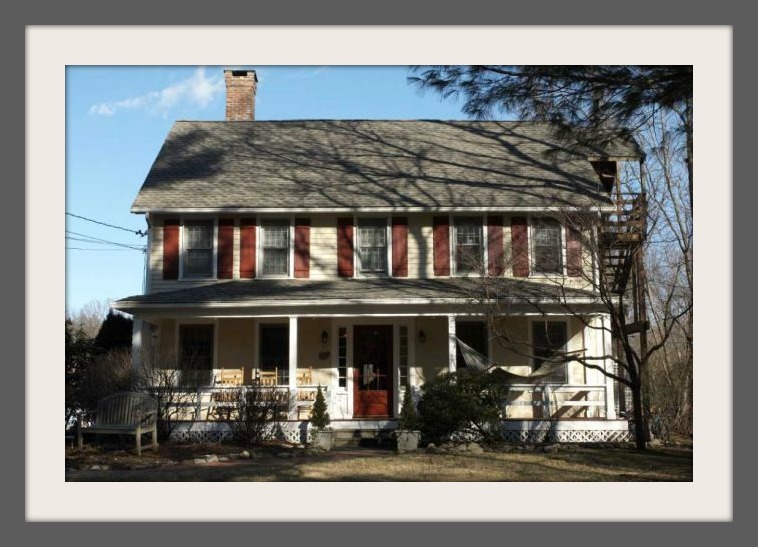 The North Compo Road home — a converted 8-bed farmhouse that since 1983 has housed scores of girls and young women from Westport and surrounding towns — will receive a historic significance plaque. Turns out the building — sitting handsomely but unobtrusively between Little League fields and the Town Farm tennis courts — has quite a history. It started out in what is now Playhouse Square, nearly 200 years ago. More than a century later, it still serves folks in need. Bob Weingarten — WHS house history chair — says the structure was built in 1824. A decade after that, it became part of the Kemper tannery. In 1930, that land became the Westport Country Playhouse. In 1864, Charles Kemper Sr. moved it to property he bought from Samuel Gorham on North Compo. The town of Westport purchased it in 1901, for use as an almshouse. At that point, by renting space in individual homes, we were spending more money on indigents than surrounding towns. Buying the entire farm, including the house of 13 rooms, for $2,750 could save us at least $1,000 a year. 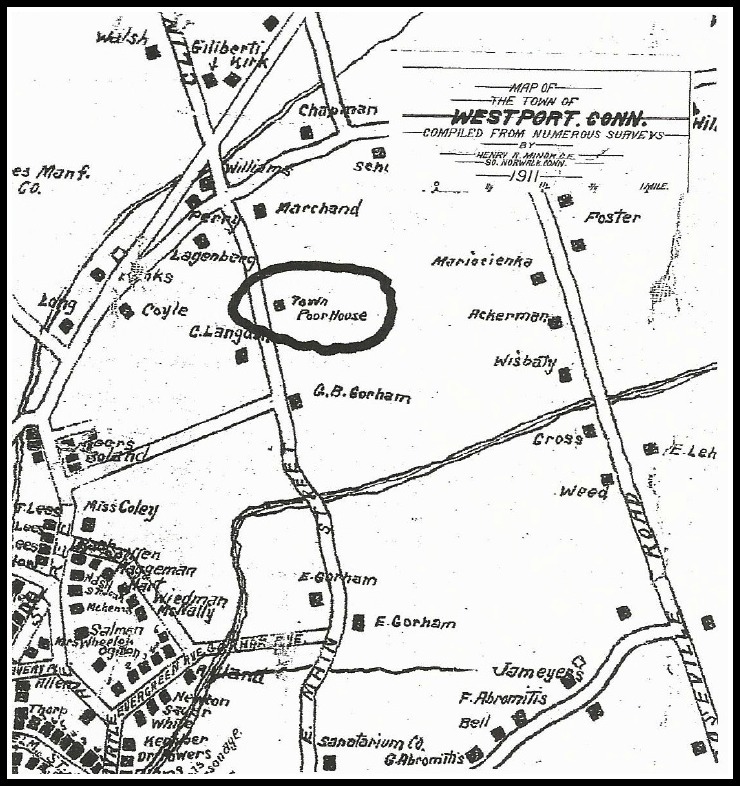 “Town Poor House,” circled on a 1911 map. In 1927, a man named Alfred Violet — the same person who gave his name to the road off Myrtle Avenue? — found sanitary conditions there “absolutely unbelievable.” Chimneys were crumbling; windows furnished “practically no protection at all against the weather … and the grounds have been used for the past years as a garbage dump.” Approximately 15 children lived there. It’s uncertain how long the “town farm” operated as a poorhouse. The site was considered for a town garage. From 1975-83 it was rented to James Drought, a noted writer. After he died, the house deteriorated. Kate McGraw — assistant superintendent of special education for the Westport school system — had the idea to use it as a residence for girls whose parents could not keep them at home. Renovation $100,000. Many local organizations and individuals contributed funds, labor, materials and furniture. 1st Selectman Bill Seiden championed Project Return. 2nd Selectman Barbara Butler — later named town human services director — helped negotiate a $1-a-year lease. That contract is still in effect. Project Return pays for all interior and exterior maintenance, and utilities. The town pays for tuition of each girl, while parents pay residential costs. The safe, nurturing home has helped over 160 girls rebuild their lives. Project Return has evolved with the times — most recently last year, when the state stopped funding group homes for youth. 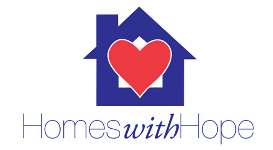 Homes With Hope merged with the organization, ensuring a seamless transition. 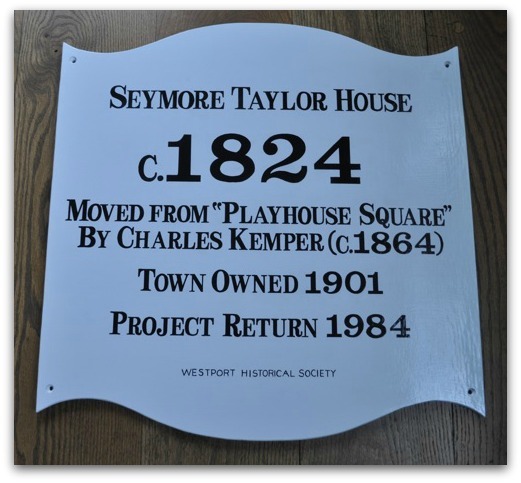 Monday’s plaque presentation will include representatives of the town of Westport, Project Return and Homes With Hope, plus Kate McGraw’s daughter Sarah and 2 of James Drought’s children, Hank and Sarah. It will be a fitting tribute to an important town structure — one that, like so many others, has ended up in a very different place than it began. For 33 years, Project Return has helped teenage girls and young women in crisis rebuild their lives. For 33 years too, Homes With Hope has provided emergency shelter, permanent supportive housing, food and services to homeless men, women and children. Starting today, 2 of Westport’s most important organizations merge. Just 2 months ago, Project Return — the converted 8-bed farmhouse on North Compo Road that since 1983 has housed hundreds of females from Westport and surrounding towns — learned that on June 30, it would lose all state money. The Department of Children and Families — which provided 80% of the group’s funding — has been hit hard by budget cuts. In addition, DCF has shifted its policy, from group homes to foster care. At the same time, Project Return was moving its focus to a slightly older group: 18-25-year-old women. It’s an under-served population that is projected to rise, says Kim Lake, board member and chair of the organization’s Strategic Action Committee. Homes With Hope president and CEO Jeff Wieser is thrilled with the new collaboration. “Project Return will be a separate, fully functioning program under our umbrella,” he says. Wieser adds, “Project Return is very tied in to our mission, of supporting those without homes, or at risking of losing theirs, achieve more self-sufficient lives. 1983 was a watershed: The year 2 fantastic organizations were founded. 2016 will go down in both groups’ histories — now shared — too. A star-studded cast filled the Senior Center this afternoon, to honor Barbara Butler. 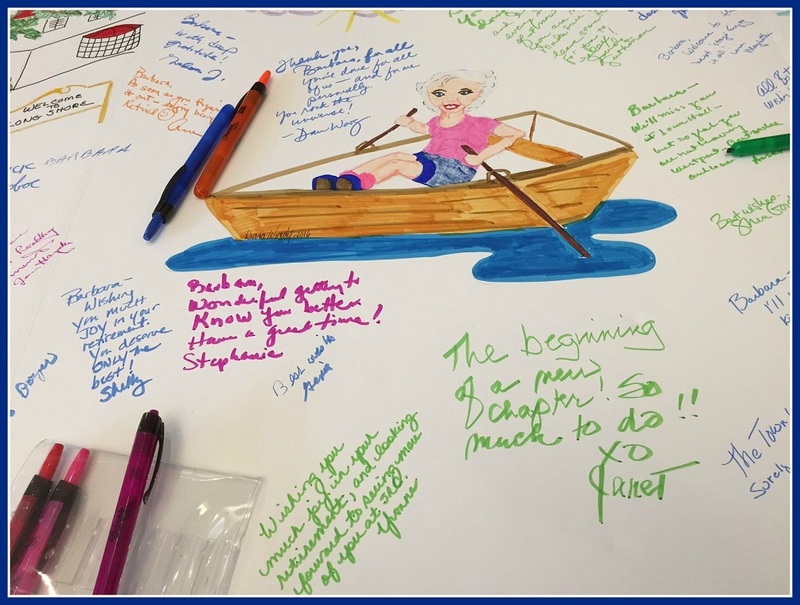 Town and state officials, longtime volunteers, and the heads of the library and Y — among many others — paid tribute to the head of Westport’s Human Services Department. 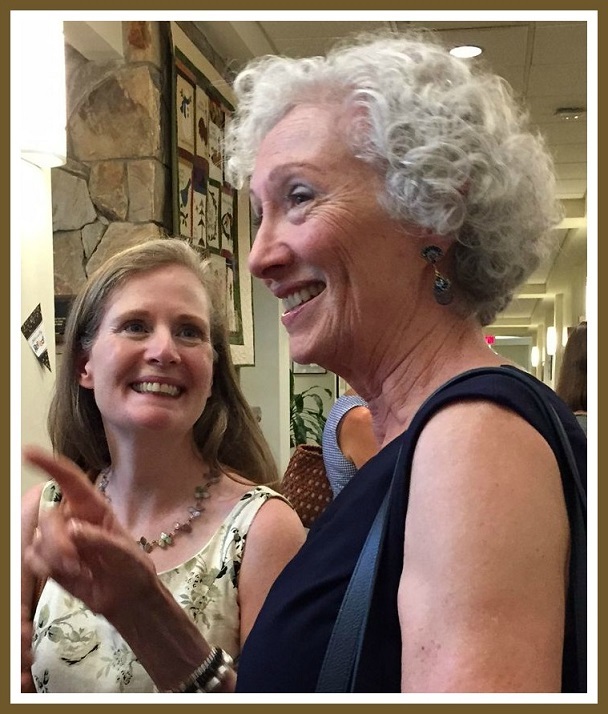 Barbara Butler (right) shares memories with RTM moderator Eileen Flug. In nearly 30 3 decades here, Butler has overseen every age group from teenagers (Youth Commission, Toquet Hall, Staples High School outreach) to seniors (Senior Center, Baron’s South elderly housing task force). She’s been involved with tax relief, casework, career coaching and emergency preparedness. She’s helped homeowners pay for oil, and provided suits and dresses for needy Staples grads. Butler helped found Project Return and the A Better Chance of Westport program. She’s been a member of the TEAM Westport diversity group, and served with Positive Youth Development and the United Way. She’s a past president of the League of Women Voters. Next month, the RTM votes on the formation of a new Commission on People with Disabilities. Butler spent her final weeks on the job helping launch that project. In her spare time, she runs. And rows. Guests at today’s party signed a card for Barbara Butler. That’s her in the center, rowing. The Senior Center was packed today with her bosses (past and present), colleagues, friends, family and fans. But if organizers invited everyone Barbara Butler helped over the past 27 years, they would have needed Yankee Stadium. And still turned folks away. The year was 1980. Susie Basler had a great life in Evanston, Illinois: good friends, a supportive community, a food co-op she loved. She did not want to move to Westport, Connecticut. But her husband’s job beckoned. The Baslers pulled up stakes. And the course of Susie’s entire life changed. Kate McGraw was a new neighbor. As Westport’s assistant superintendent for special education, she knew plenty of girls in crisis. McGraw wanted to launch a group home. She enlisted human services worker Barbara Butler. And — because newcomer Basler had a master’s degree in social work, had studied residential facilities and worked in the juvenile justice system — McGraw asked her to help too. Basler was on the founding board of what became Project Return. With tremendous energy and enthusiasm — but no site or money — the group forged ahead. Butler convinced First Selectman Bill Seiden to give the dilapidated Town Farm house on North Compo Road — slated for demolition — to the organization, for $1 a year. The building — between Little League fields and tennis courts — was infested with racoons, squirrels and mice. But with plenty of hard work — and the help of grants writer Barbara Heatley, architect Ed Campbell and carpenter Ed Canning — the dream became a reality. Project Return welcomed its 1st girls 30 years ago this month. The part-time director — who had 3 young children, and lived in Stamford — left 3 months later. Basler — now 73 years old — has announced her retirement as executive director. She’ll be honored on Saturday, April 2 (7 p.m) at Project Return’s annual Birdhouse Auction and Gala, at the Fairfield Theatre Company Warehouse. When Basler took over, 2 girls had already run away. Two staff members were ready to quit. “I realized my entire life had prepared me for that moment,” Basler says. She instituted core principles that were revolutionary at the time. She made sure that social workers — “our best staff” — spent most of their time not in meetings, but with the girls. “Kids are hungry for feedback,” Basler says. Basler has “enormous respect” for each girl who has come to Project Return. They cope with so much. Of the many things she is proud of, Project Return’s organizational model — circular, not hierarchical — tops the list. Westport has noticed. Local support — both financial and volunteer — for the group home is “a beautiful story,” Basler says. Basler’s work is not easy. Girls arrive at Project Return from abusive or neglectful homes. They’ve been let down by their families. It’s hard, she says, for even the most committed staffer to “love girls who exhibit unlovable behaviors.” In a group setting, that’s especially tough. But — thanks in large part to Basler’s leadership — it works. “I’ve always treated the staff the way I want them to treat the girls,” she says simply. She has done much more at Project Return, of course. She created HEAL (Heal, Empathy, Altruism, Love) — an after-school community service project for at-risk girls. She organized an annual educational conference for mental health professionals. She established an aftercare program to ensure the girls’ continued emotional and financial support. Susie Basler, executive director of Project Return since its inception. Basler and Gold are in touch with nearly 100 former Project Return residents. This summer, they attended the wedding of one. Another Project Return graduate just had a baby. Basler is justly proud of that woman — and many others. Some have even gotten their own social work degrees. As she says goodbye — after 30 years in charge — she will face the challenge of “how to be an elder in a community.” She hopes to share her wisdom, so that parents can understand their children better. At 73, she has her own children — and 3 grandchildren. She is a child herself, with a 97-year-old mother. She plans to spend time with all of them.